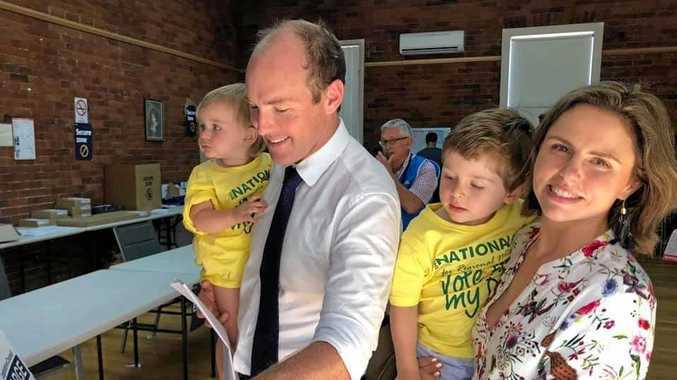 Nationals candidate for Lismore, Austin Curtin, votes in NSW State elections. NATIONALS candidate for Lismore Austin Curtin has conceded the seat of Lismore and offered his congratulations to Country Labor's Janelle Saffin. "Thank you Lismore," he wrote on his Facebook. "This morning I spoke to Janelle Saffin to offer my congratulations, as it looks like she will become the next Member for Lismore. "I want to thank everyone who voted for me, for The Nationals and for our vision for this region. "I am proud of the campaign we ran and I want to thank the 250 local volunteers we had on the ground on Saturday and throughout the campaign. "While we may not have won this seat, I want to make it clear that the National Party in this area is stronger than ever before. "The count at the moment still shows strong support for the values and vision we have for this region. I am extremely proud and thankful that The Nationals remain in Government. "This has been a fantastic experience and I thank everyone for their support." Mr Curtin also held a press conference announcing the news. 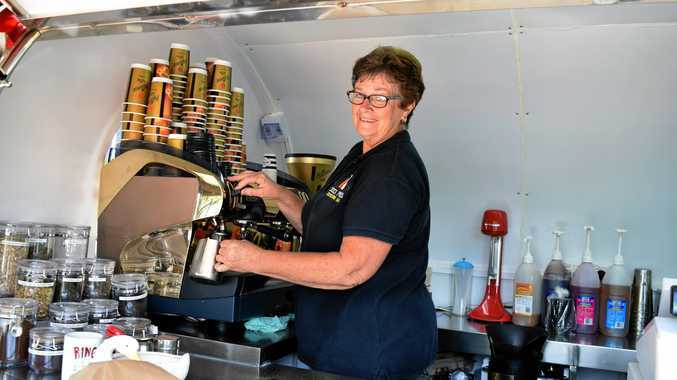 "This morning I called Janelle Saffin from Country Labor party to offer her my congratulations as it looks very likely that she'll elected the next state member for Lismore," he said. "Congratulations to her on being elected as I understand the first female state member for Lismore as well, that is certainly wonderful. "This is not the outcome we as a team wanted, nor I wanted. Nor is it the outcome I felt we worked so hard for over the last 18 months. "We would like to express our greatest gratitude to everybody that assisted us, firstly those who came and voted for us. "I personally am really proud of the campaign we ran." Mr Curtin gave an emotional thanks to his wife and family, to Thomas George and the National Party for their help. Retiring Lismore MP Mr George also took the opportunity to farewell the electorate and to offer condolences to Mr Austin. "It's been an honour and a privilege to have represented the Lismore Electorate for the past twenty years, not only as the Member but as Deputy Speaker. "I want to take this opportunity to thank those who over the years have supported my family and I, The Nationals and the NSW Government. "At this time I struggle to find the words which truly express my gratitude and appreciation of Austin Curtin and his wife Bronwyn and family, for their tireless contribution over such a long campaign. "Nearly forty per cent of people voted number one for Austin or The Nationals, showing his advocacy and the party's brand in the Northern Rivers is strong; I thank you for that show of support. "My disappointment of course is the Lismore Electorate now does not have a strong voice around the Government table. Since the Liberals and Nationals were elected into Government in 2011 that voice has certainly been reflective in what has been achieved and delivered. "I finally want to congratulate the Labor Party and Janelle Saffin on winning the seat."